A fairytale puzzle quest. 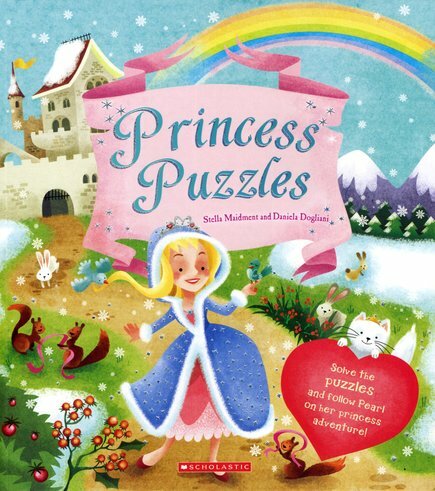 Solve mazes and puzzles in a magic land of pets and princesses. Welcome to Pearl’s beautiful palace: the setting for a grand puzzle adventure. There are three things to find in every puzzle. And a fluffy friend to spot too! You’ll find horses and flags, and match up shoes and dresses. You can play in the palace backyard, or join Pearl for her birthday tea. There are even four activity ideas, including making your own crown and castle. The ultimate princess funbook, full of beautiful colour artwork.